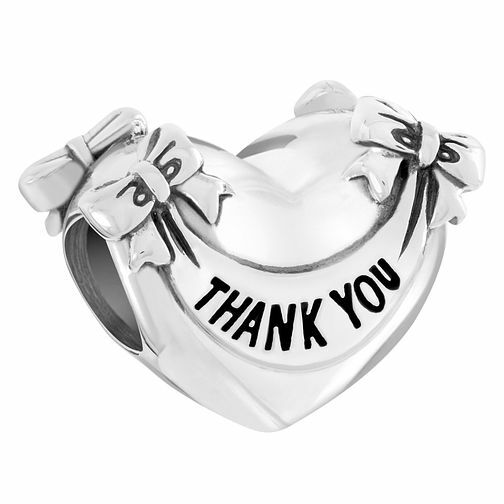 The Thank You Heart bead created from .925 sterling silver, has the message written in black enamel and has a ribbon and bow detailing. Chamilia Sterling Silver Thank You Heart Charm is rated 5.0 out of 5 by 1. Rated 5 out of 5 by Anonymous from Very happy with this charm This charm is exactly as described and it made a lovely gift. Very pleased.